I did a post last week of my favorite book series. 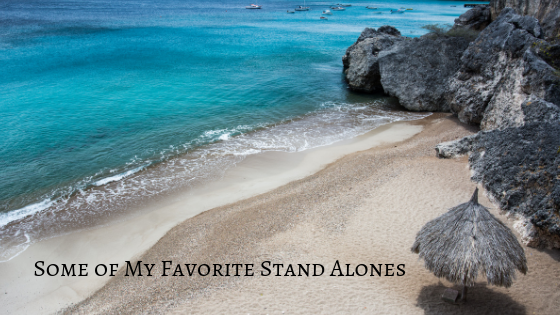 So I thought that I’d write a post this week about some of my favorite stand alone books. This book was written by Anthony Doerr and I have a couple of reasons why it’s one of my favorites. Characters. The main characters were thoroughly thought out and well written. And they carried the story well. And if I remember correctly, they also were able to develop over the course of the story. Character relationships. This kind of goes along with the previous point. The relationships between characters were deep and sometimes complicated. But in a good way. There are a few reasons why this struck a chord with me. The Trinity. I like how the Trinity was characterized, even though their characterizations aren’t how I envision them. I enjoyed how they interacted with each other and with Mack. I also like how they help Mack to grow as a character. Character development. Like I just said, Mack underwent major developments throughout the book. He goes from skeptical to grief and anger ridden to learning to forgive. Trust. Mack’s family doesn’t really know what Mack is up to, but they decide to trust him with whatever is going on. This was an incredibly good book that had some incredibly intense themes. Just like the previous two, character developments and relationships make this one of my favorites. Character relationships. The relationship between Amir and Hassan is one of the major relationships in the book. Amir has a somewhat complicated relationship with Hassan. First, he knows Hassan as the servant’s son, then as a friend (despite class differences), then onto brother. But I think their relationship was tested when tragedy befell Hassan and Amir did nothing to stop it. And Amir’s relationship with his father is a bit complicated as well. This one was a lighthearted story about a cat and the community he hung out with. The reason this book made it onto this list was simply because of its lightheartedness. I’m not often into thrillers/mysteries, but I enjoyed this one. Character development. Samantha, the main character, has a good arc of character development throughout. Especially when it came to how she interacted with other characters. What are some of your favorite stand alone books?